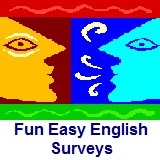 ﻿ Fun Easy English - new american english study practice reading writing survey poll opinion questionnaire do you really think the world will end on december 21 2012. Home - Survey - Do you really think the world will end on December 21, 2012? Do you really think the world will end on December 21, 2012?